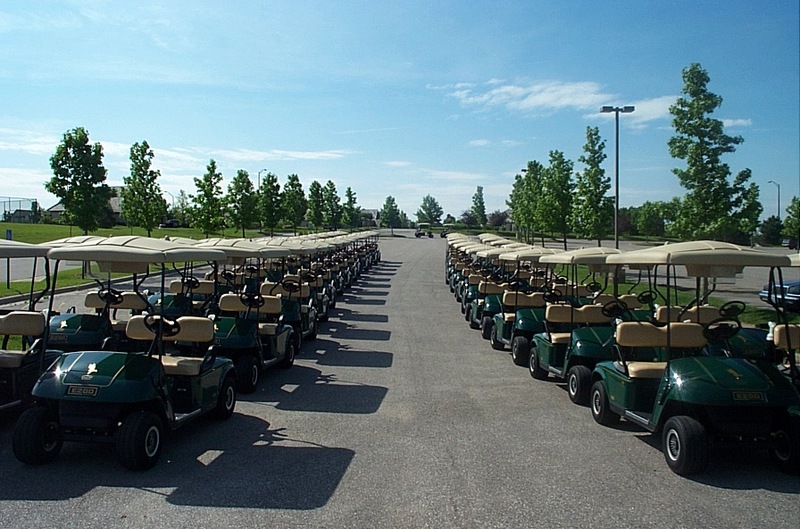 Now is the time to begin thinking about dates for your 2019 golf tournament. Falcon Ridge Golf Club is the only Golf Digest rated 4 1/2 star public golf course in Johnson County and is the best place to host your outing in 2019. Falcon Ridge was voted Best Kansas City Golf Course for Corporate Outings in November of 2007 and with our continued success, good dates for 2019 won't last long. An outing or charity event with YOUR most important clients and donors in one place can be the most important day of the year for many organizations. TRUST in Falcon Ridge Golf Club to provide the best in customer service, course conditions, and event management while you focus on those most important to your business or charity. We understand that many local companies are dealing with difficult economic times and in many cases, entertainment budgets have been reduced or cut altogether. However, a corporate golf tournament is one of the best ways to host all of your clients and customers in one place and further your business relationships which is so important during these tough economic times. We also understand that each company and charity faces different challenges. That's why we invite you to contact us for your 2019 golf outings, we will meet with you and negotiate the best possible rate to make your golf outing an affordable way to reach out to your customers and clients during the golf season. Let us sit down and give you a free consultation regarding your golf tournament. Even if Falcon Ridge doesn’t host your event in 2019, we’ll give you an honest assessment of the best way to go about making your 2019 event a success. Entertain those most important to your business or charity at Kansas City’s most nationally recognized public golf course. Call Falcon Ridge Golf Club TODAY! Call Steve Price at 913-393-4653 or complete the tournament inquiry on this page. The Falcon Ridge Exclusive Shotgun gives your organization the entire facility exclusively for the duration of the event. All 18 holes are utilized for this shotgun event which is designed for 100 - 144+ players. An Exclusive Shotgun can be booked Monday - Friday at 8:00am or 1:30pm on limited occasions. *Additional items not listed above are subject to a 20% gratuity & all applicable taxes. A 10% nonrefundable deposit is due upon Falcon Ridge's acceptance of your event. The Falcon Ridge Modified Shotgun gives your organization the luxury of a shotgun event catered to groups ranging from 36 - 92 players. A Modified Shotgun can be booked before 9:00am Monday - Friday.